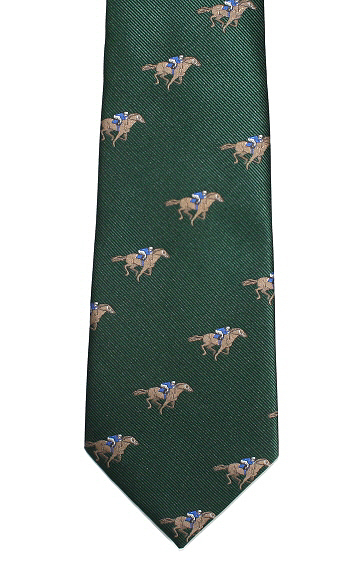 A horseracing tie with a single horse and jockey motif on forest green necktie. Horses and jockeys motif on an attractive plain red neck tie. A top quality, luxury silk faille tie with multiple race horses and riders stitched motifs on a navy tie. Made from the finest English silk. One of our themed silk ties premier collection.